The E-PROPS propellers are precisely balanced at workshop. Our team is using an electronic bench to balance the propellers, with two oscilloscopes, and all the data are registreted in our computer system. 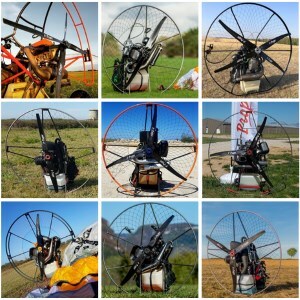 => Be careful : the blades do not necessarily have the same weight. If you have received 2 blades with different weights, it doesn't matter. To balance a propeller, the weight of blades is important, of course, but what is really critical is the weight distribution all along the blade, called STATIC MOMENT. The weights P1 et P2 of each blade apply respectively to centre of gravity G1 and G2, which are not at an equal distance on the center of rotation O of the propeller. This propeller is a 2-blade for Polini Thor 250, or 250, diamètre 150 cm. 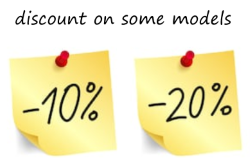 => here : the weights of the blades are different (gap 1,85 gr), and the gap between the 2 static moments is 0,1 gr/m. In the tolerance. This propeller is perfectly balanced. 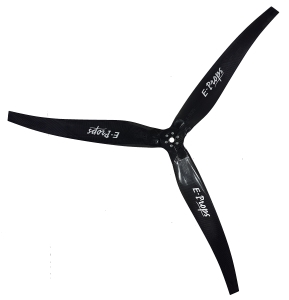 Each E-PROPS blade is identified with a serial number (example above 43806, 48875). This number is written on the blade, and also in the RFID chip which is inside every blade (readable with a special RFID reader). Each blade is balanced with an other blade (or other blades, if the propeller has more than 2 blades). The obtained propeller is well-balanced. If you assemble non-paired blades, they would not be balanced together. Please verify that the E-PROPS blades serial numbers are provided to go together. In case of doubts, il is also possible to returm the propeller to E-Props for balancing verification. Never fly with an E-PROPS propeller if the blades are not paired. If you want to verify the balancing of your propeller, make sure the assembly is correct : blades on the right side, align the holes properly. It is possible that the propeller leans a litlle : it is due to the 0,4 gr/m tolerance. This tolerance has been calculated then deeply tested by our engineers. => Please note : those tests have been made on many motors; there are no vibrations up to 0,6 gr/m. => It is strongly FORBIDDEN to add weight to one blade, in order to have the same weight for all blades. The propeller would be then unbalanced, and can cause some vibrations. The E-PROPS propellers are very light and very well balanced, and they generate very few vibrations. Propeller track is the path followed by a blade segment in one rotation. There is often a traking gap on the wooden propellers, made and/or finished by hand. On large scale composite productions, when blades are made in the same molds (non adjustable), this phenomenon doesn't exist. The blades of the same E-PROPS models are coming out of the same molds. They have exactly the same geometry. Then the finish is made with our CNC machines. The E-PROPS propellers coming from the same mold do not have tracking. 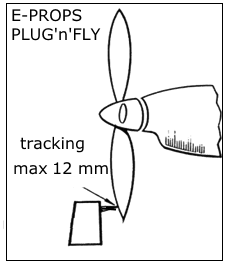 On PLUG'n'FLY and NG-D models, the maximum tracking is 8 mm. Do not put a rubber washer between the propeller and the reducer flange in order to reduce the tracking. It is dangereous because the loads are transferred to the propellers screws and those screws can suddenly break. If you have no vibrations, tracking is absolutely not important.